This article provides an example of using the decision mechanism. A decision can be made in a document consideration task, and tasks based on the decision and linked to the document can be assigned. Let's look at the possibility to make a decision when creating a document in Web Application. Create a document of the required type (for more information, read this article). Register the document in the system (for more information about registering documents, read this article). After that, you can send it for consideration. The user who receives the document consideration task can make a decision on it. This function is applicable only to incoming documents! Keep that in mind when registering a document! In the Decision field, you can enter your decision on the document. 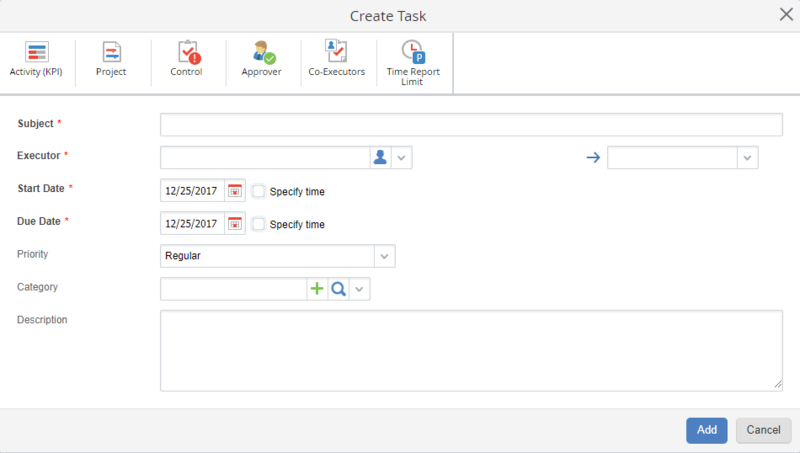 The form of a decision-based task will show the information about the decision on the document. If you need to use these functions in a business process, read this article.